It’s a new trend in mixing drinks: infusing spirits with a cozy campfire taste and aroma. Before you get to smoking ingredients to make your cocktails and impress your friends this summer, you will need to know the basics of smoking and some of the techniques for smoking. This article will cover it all from what wood to use and how much, to how to set up your charcoal for long smokes. Whatever you are trying to smoke, and however you are trying to do it, this will be your guide. There are a few ways to add smoke to cocktails. 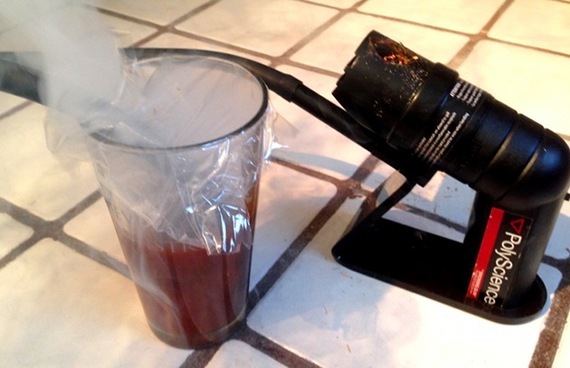 The first is to use an intrinsically smoky spirit, like single malt scotch or Mexican mescal, or a smoky flavoring, like chipotle peppers or bitters or pimenton (Spanish smoked paprika), The second is add smoked ingredients such as smoked ice cubes and lemons, (recipes below) and another way is to infuse the drink with actual wood smoke. The ultimate smoky spirit is Scotch whisky, which owes it distinctive iodine-smoke flavor to peat. The distiller uses this coal-like fuel to roast the barleycorns before mashing and fermenting. All scotch has a smoky flavor component, but according to master mixologist Dale DeGroff, author of The Craft of the Cocktail and the man who sparked a mixed drink renaissance in the U.S., the smokiest scotches come from the island of Islay—in particular from the two great distilleries: Laphroaig and Lagavulin. Degroff makes a smoky Manhattan by floating a spoonful of scotch atop the conventional rye or bourbon cocktail. Mescal (sometimes written mezcal) is the other great intrinsically smoky spirit—made in Mexico’s Oaxaca region by smoking the hearts of agave and other cacti. If your vision of mescal involves the puerile thrill of eating the worm found in mid-market mescals—a pastime popular when I was in college—please reconsider. A new generation of single village mescals, typified by Del Maguey, possess the finesse of a great cognac. They should definitely be on your bar shelf. If you love to smoke food, why not try your hand at smoking the ingredients that you will make your cocktails with? 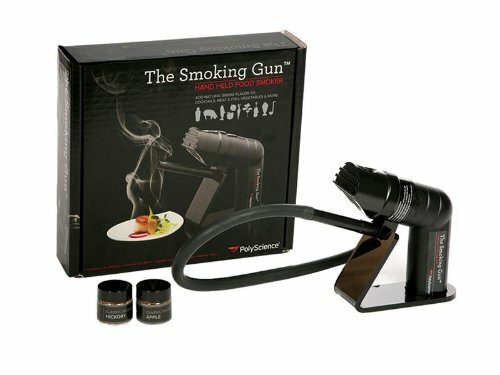 If you are new to smoking food here is a crash course on smoking food using charcoal, propane, electric smokers and a cold smoking gun. If you are an experienced BBQ chef read on to refresh your techniques or just skip to the recipes. So how do you actually smoke a cocktail with wood smoke? Coat the inside of the glass with smoke flavor. 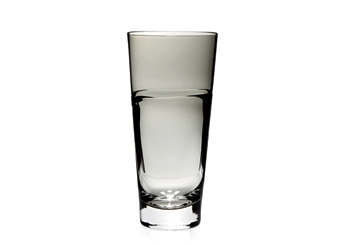 Fill an inverted bar glass with smoke. Tightly cover the glass with a coaster and turn it back over. Let stand for 1 to 2 minutes. Add the cocktail and serve immediately, with the glass still smoking. Try the Dragon’s Breath (recipe below). Infuse smoke directly into the cocktail. Mix your drink in a bar shaker or glass. Cover the top with plastic wrap, leaving one edge open for the rubber smoking tube. Insert the tube all the way to the bottom of the drink. Fire the smoking gun to fill the shaker with smoke. Quickly remove the hose and seal the top of the shaker with plastic. Let stand for 3 to 4 minutes, then uncover and stir in the smoke with a bar spoon. Repeated as needed to achieve the desired degree of smokiness. Smoke a large batch of cocktails at once. Place your ingredients in a large bowl and cover with plastic wrap. Insert the smoking hose and smoke and stir as described above. Smoked Lemon – For a charcoal grill, arrange medium-hot coals around a drip pan. Toss a wood pack or smoke box (see above) over the coals. Place 8 lemon halves, cut sides up on the grill rack. Cover and grill about 20 minutes or until lemons are softened and peels are slightly browned. For a gas grill heat grill to medium and adjust for indirect cooking. Add a wood pack or V-shaped box chips and use the method above. Smoked Graham Crackers – fill a 9×5 inch foil pan one-quarter full with ice, then stack another pan on top and fill with 12 graham crackers. Arrange medium hot coals around the edges of the Toss a wood pack or smoke box (see above) over the coals. Place stacked pans on rack in the center of the grill. Cover and smoke 8-10 minutes or until the crackers have a smoky aroma. For a gas grill, heat grill to medium and adjust for indirect cooking. Add a wood pack or V-shaped box chips and use the method above. Smoked Jalapenos – Arrange medium hot coals around a drip pan. Test for medium heat above pan. Toss a wood pack or smoke box (see above) over the coals. Place jalapeno peppers on grill over drip pan. Cover and smoked for 15-20 minutes or until peppers are lightly browned. For a gas grill, heat grill to medium and adjust for indirect cooking. Add a wood pack or V-shaped box chips and use the method above. Smoked Ice Cubes – arrange medium hot coals around a drip pan. Test for medium heat above pan. Toss a wood pack or smoke box (see above) over the coals. Place ice cubes in a 9×5 disposable foil pan. Place pan on grill rack above the drip pan. Cover and grill for 30 minutes. Remove foil pan and cool. Pour water into ice cube trays and freeze for at least 8 hours or until firm. For a gas grill, heat grill to medium and adjust for indirect cooking. Add a wood pack or V-shaped box chips and use the method above. Smoked Brown Sugar – arrange medium hot coals around a drip pan. Test for medium heat above pan. Toss a wood pack or smoke box (see above) over the coals. Place 1 cup of brown sugar cubes in a small disposable foil pan. Cover and grill about 15 minutes or until sugar starts to caramelize on the surface. For a gas grill, heat grill to medium and adjust for indirect cooking. Add a wood pack or V-shaped box chips and use the method above. Remove and cool. Pulse in food processor until cubes are pulverized. Bacon – Infused Rye – The first thing you need to do is to know the difference between bourbon, scotch, whiskey, and rye. Then in a wide-mouthed screw-top jar combine 1 cup rye and 2 slices of cooled crisp bacon. Cover and gently swirl jar for 20 seconds. Let stand at room temp for 6 hours or until rye develops a bacon flavor to your liking. Swirling occasionally. Remove and discard bacon. To infuse a 750 btl, use 6 slices of bacon and a pitcher and infuse as above. Squeeze a Smoked Lemon and measure ¾ ounce (1 ½ tablespoons) of juice. Fill a cocktail shaker half-full with smoked ice cubes. Add Bacon-Infused Rye, syrup and the lemon juice. Cover and shake until very cold. Strain into a cocktail glass filled with smoked ice cubes. In a pitcher, combine the juice from 4 smoked lemons (3/4 cup), 2 cups Bacon-Infused Rye, and ¾ cup maple syrup. Serve in cocktail glasses filled with smoked ice cups. Fill a cocktail shaker hall full with Smoked Ice Cubes. Add chocolate Liqueur, vodka and ¼ cup of whipping cream. Garnish with chocolate curls and a smoked graham cracker piece. Squeeze Smoked Lemon and measure 1 ounce (2 tablespoons) juice. Fill a cocktail shaker half full with smoked ice cubes. Add the lemon juice, pureed tomatoes, tequila, tabasco sauce and worchestershire. Strain into highball glass filled with smoked ice cubes. Garnish with a smoked jalapeno. Wet cocktail glass rim with smoked lemon half. Sprinkle smoked brown sugar in a dish, dim rim into sugar to coat. Squeeze a smoked lemon half and measure ½ ounce (1 Tbs). Add Cognac, the lemon juice, and Cointreau. Strain into prepared glass over additional smoked ice cubes. In a pitcher combine 2 cups Cognac, 1 cup Cointreau, and ½ cup squeezed smoked lemon juice. Stir to combine. 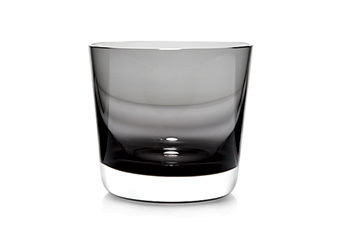 Serve In cocktail glasses over smoke ice cubes. Coat the rim of a pint or double Old Fashioned glass with mesquite salt or dry rub. Fill halfway with smoked ice and set aside. Add the rye, lemon juice, maple syrup and egg white to a shaker and fill with ice. Top with the beer and bitters, and garnish with a piece of beef jerky. Get 1 martini glass, chilled in the freezer or with ice. Combine the gin, vermouth, liquid smoke, and ice in a shaker glass and stir vigorously. Strain into the martini glass. Hold the lemon zest shiny side down about 2 inches above the martini. Squeeze the zest to release the oils, then light a match and hold it under the zest, which will flambe when they hit the match flame. Drop the zest into the martini and serve at once. Chill a cocktail glass in the freezer or with smoked ice cubes. Combine the mescal, tequila, lime juice, Strega, and agave syrup in a bar shaker with 1 cup ice cubes. 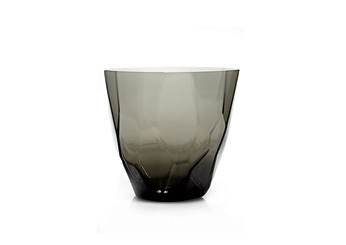 Shake hard and strain into a chilled cocktail glass. Add a dash or two of celery bitters and serve. Tip: One good brand of Celery bitters is Frye Brothers. Fill a martini glass with ice to chill it. Place the rye or bourbon, vermouth, and bitters in a cocktail shaker. Add 1 cup of smoked ice to the shaker. Stir the Manhattan until the shaker cup is painfully cold, 30 seconds. Dump and discard the ice from the glass and strain the Manhattan into the glass. Carefully spoon the Scotch whisky on top so it floats. Garnish with the maraschino cherry and serve. When cooking for a large gathering make sure you prepare something for everyone. Throw on a couple of Hot Dogs for the kids while you are grilling the rest. In fact, try getting the kids fed first to alleviate their hunger for summer foods and let them finish off with someflag fudge.